It is suffice to say that I am thrilled to bits with this marriage. 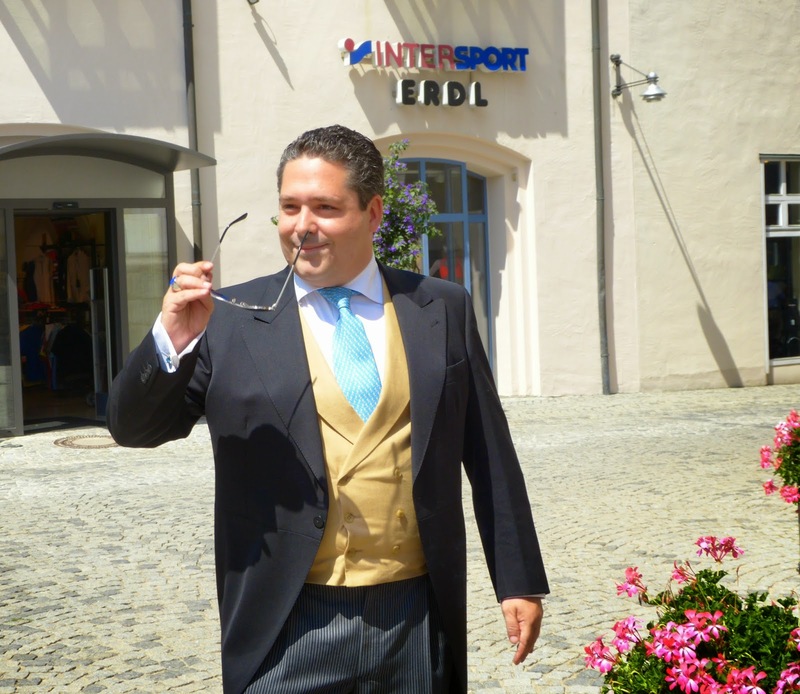 As some of you know, I am at work on a book on the descendants of Grand Duke Adolphe of Luxembourg, which will be similar to Queen Victoria's Descendants. A genealogy, a text with biographical information and photos. 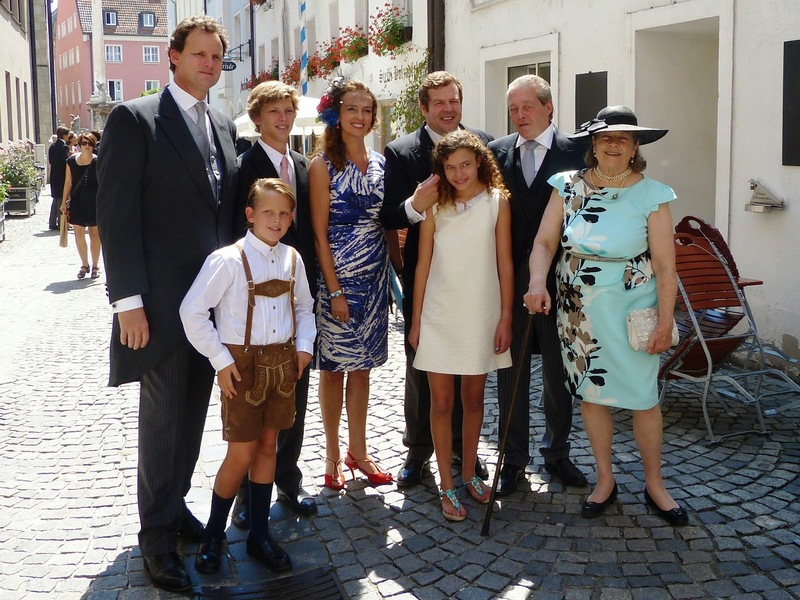 The bride is a descendant of Adolphe through her mom, Countess Amelie of Urach, whose mother, Princess Iniga of Thurn und Taxis, was the daughter of Princess Elisabeth of Luxembourg. 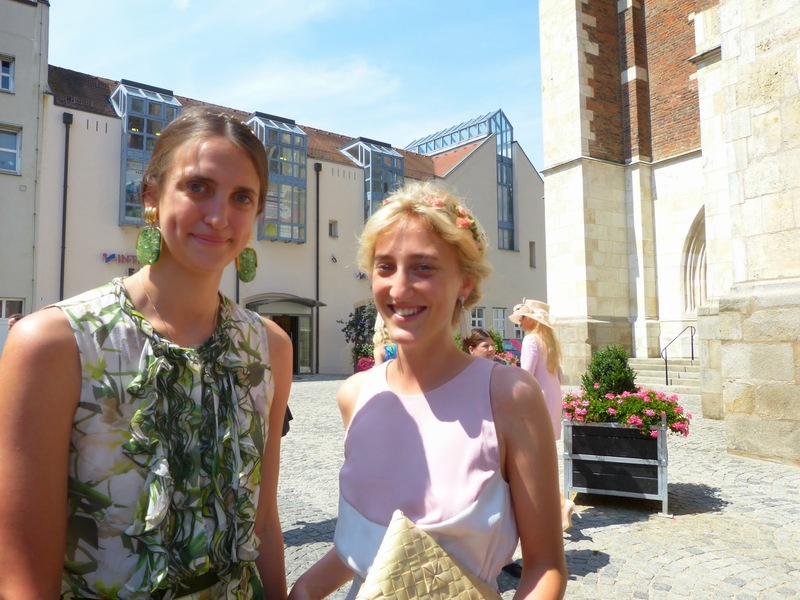 The civil wedding took place in morning at Sünching on Friday, July 25. The bride and groom were accompanied only by close family members. That evening a flamenco dance and reception was held at Schloss Niederaichbach. Prince Francois was born and raised in Spain. After the religious wedding, the newlyweds and their guests returned to Schloss Niederaicbach for a luncheon, and a grand ball in the evening, where the dress code was cocktail dresses for the ladies and the tuxedos for the men. Details about the wedding were provided to the press. 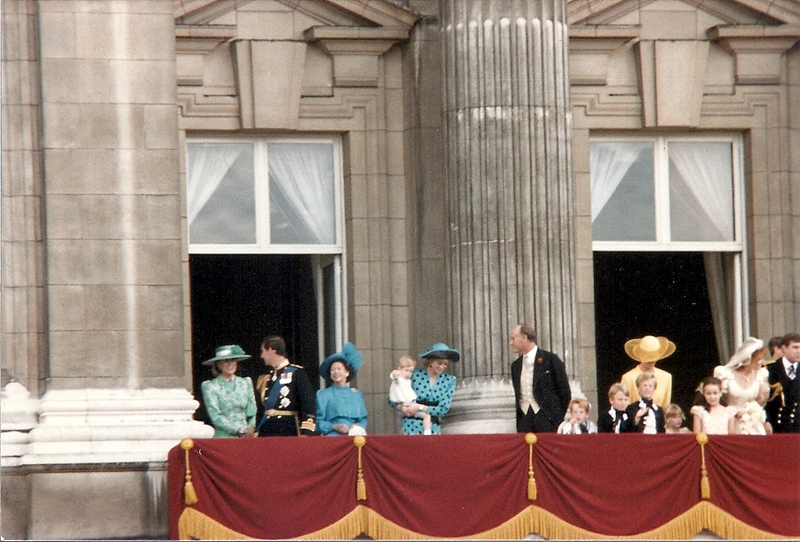 Princess Theresa wore a white silk gown designed by Brian Rennie for Basler. The embroidery included a discreet fleur-dy-lys in honor of the French royal house. The bride wore one of her mother's tiaras. The Roman Catholic service was officiated by Father Jaroslav Lobkowicz. Two of Prince Francois' nephews, Gaspard Crepy and Diego Dailly, served as altar boys. The witnesses were Viktoria von Einsiedel, Count Johann Friedrich von der Schulenberg, Franziska Praxl, Prince Henri de Merode, Sol Medina y Orleans-Braganca and Count Alexander Strassoldo. The young bridesmaids and pages were Magdalena von Eichborn, a niece of the bride, and Augustin Crepy, Eleonore Crepy, Almudena Dailly, Gaetano Dailly and HRH Princess Isabelle of Orleans, who are the nephews and nieces of the groom. 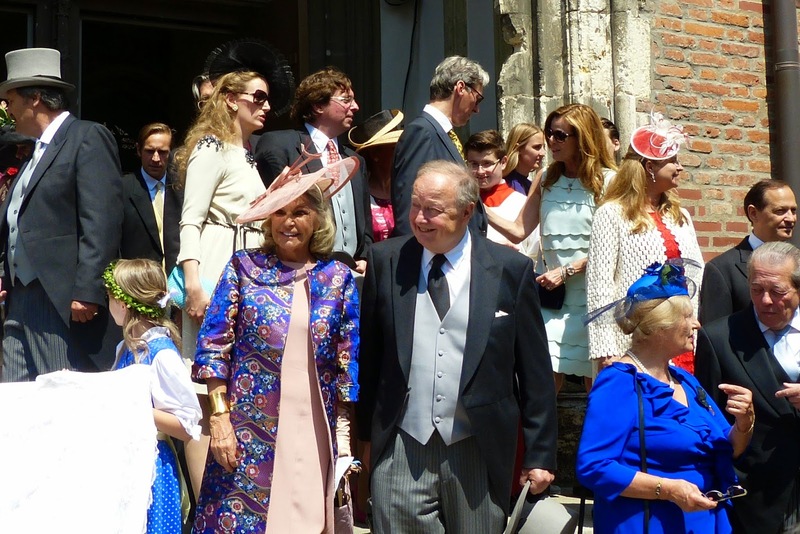 Although I was surprised to not see the Count and Countess of Paris and the Duke and Duchess of Vendome at the wedding, the groom's family was well-represented. 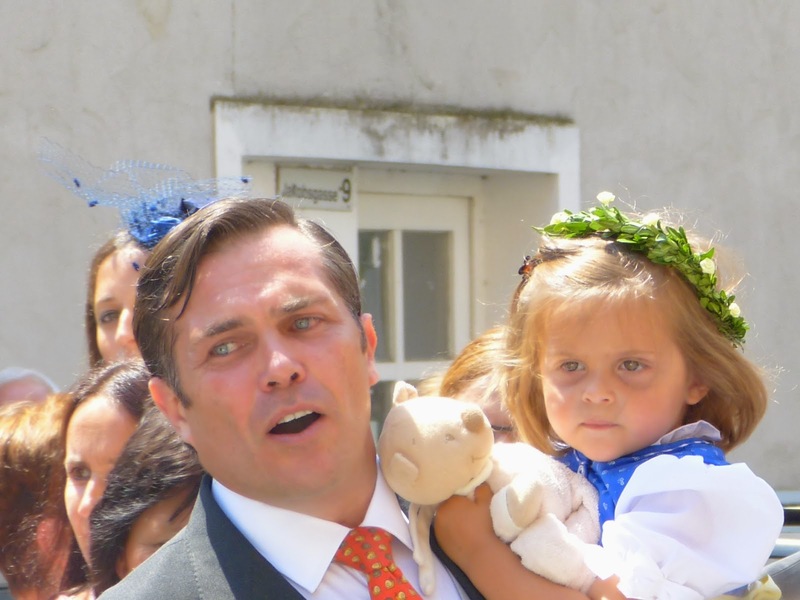 Two of his aunts, Princess Isabelle, Countess of Schönburg-Buchheim, and Princess Helene, Countess of Limburg-Stirum, and their families were in attendance, as was Archduke Simeon and Archduchess Maria of Austria. A princess of Bourbon-Two-Sicilies by birth, Maria is a paternal first cousin of the groom. Other guests included Prince Gundakar and Princess Marie of Liechtenstein, the Duke and Duchess of Urach and family, Prince and Princes Inigo of Urach and their children, Prince Jean-Christophe Napoleon and Countess Olympia of Arco-Zinneberg, Princess Maria Laura of Belgium, Grand Duke George of Russia and Rebecca Bettarini, Princess Gloria of Thurn und Taxis, Hereditary Prince Carl Philipp of Croy, Princess Anunciata of Liechtenstein and Princess Benigna Reuss and her husband, Don Oscar de Ascoz y Planes. The newlyweds will live in Paris, where Prince Francois owns a landscaping company. Prince Jean-Christophe Napoleon and Countess Olimpia have been an item for several years, but this is the first time I have seen them arrive together, arm in arm, at a royal wedding. Could this mean an engagement announcement in the not-to-distant future? These photos are by Ulrike Bartsch. She is the copyright holder. Do not copy, store, post, use electronically, share without the permission of Ulrike Bartsch. It is surprising that the Count & Countess of Paris didn't attend since they have good relations with both Michel & Béatrice d'Orléans. The Duchess of Vendôme is due to give birth any day to her third child which is why Philomena & Jean were not at the wedding.